​Handheld HD Scan, Handheld Rapid Scan, Automatic Scan, and Fixed Scan. EinScan-Pro series can capture large size real world objects and covert them into a 3D digital file that can 3D printed or exported to various software. It can be used on consumer and commercial applications in manufacturing, engineering, design, development, digital archiving, digital animation, medical and more. 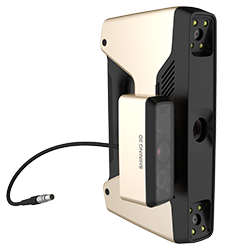 The EinScan-Pro Series 3D scanner utilizes white light scanning technology which features low noise and superior capture characteristic accuracy. The single range scanning accuracy is <0.05mm under Automatic Scan and Fixed Scan. 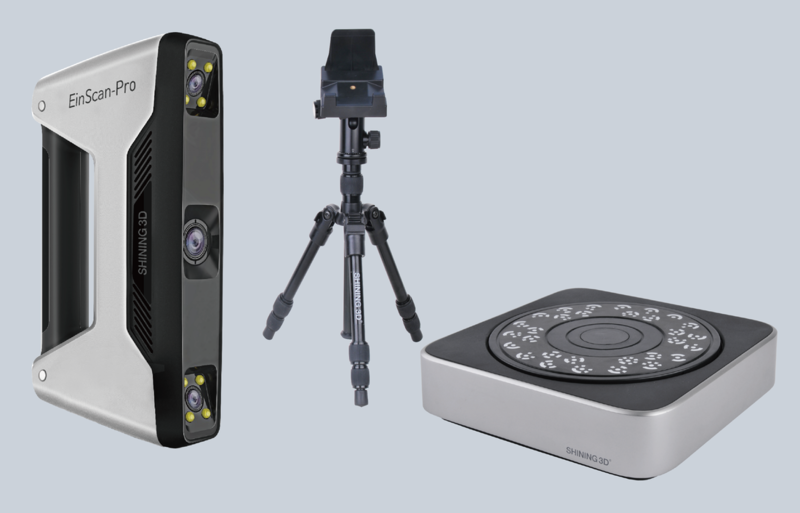 Einscan Pro Series help 3d scanning quickly and easily. 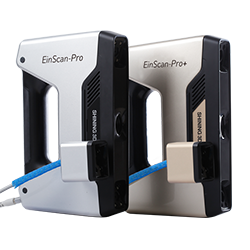 In the handheld HD Scan mode of EinScan-Pro+, the scan speed is 550,000 points/sec, and in the Automatic and Fixed scan modes, a single scan takes less than 2 seconds. 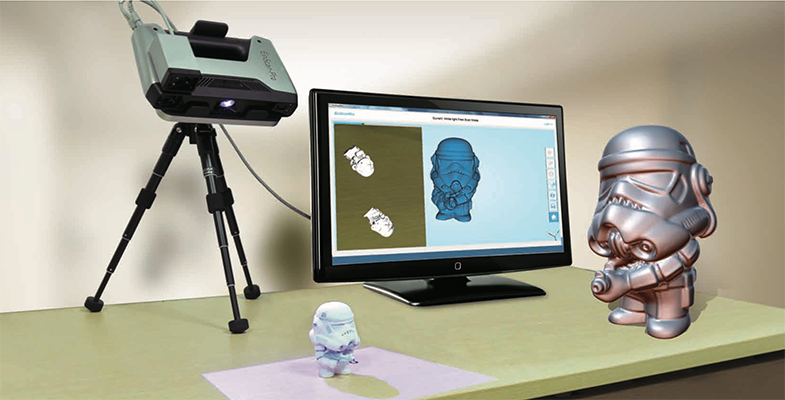 EinScan-Pro series 3D scanners is highly portable and automatic because of its versatile operating modes. EinScan-Pro series’ comfortable, ergonomic design makes it as the perfect choice for extensive, long-lasting projects. This light, handheld portable scanner weighing only 0.8kg. Every scanning step is guided in software with clear instruction. All you have to do is “point and click” and the scan process turns your real world objects into 3D digital models in your computer. The scanner outputs in standard file formats such as STL, OBJ, PLY, 3MF and ASC (a standardized file that contains 3D objects) which ensures that the data can be used in most 3D CAD applications. One-click data upload to the “Sketchfab” platform, and streamlined process to share scanned 3D data directly over the Internet. Open SDK and API access. An optional Industrial Pack enables automatic scanning by matching the EinScan-Pro series with a fully-automatic turntable. Automatic Scan Mode works best with objects less than 20 cm. This mode can be used for industrial components, ornaments and small artistic pieces like sculptures. The Automatic Scan Mode accuracy is 0.05mm for a single scan. 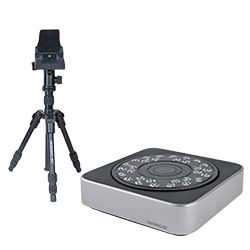 An optional Industrial Pack also enables free scanning by fixing the scan head to the tripod. The Fixed Scan Mode is recommended for large, complicated workpieces and richly detailed sculptures (accuracy 0.05mm). It’s possible to scan larger objects up to 4 meters in size. 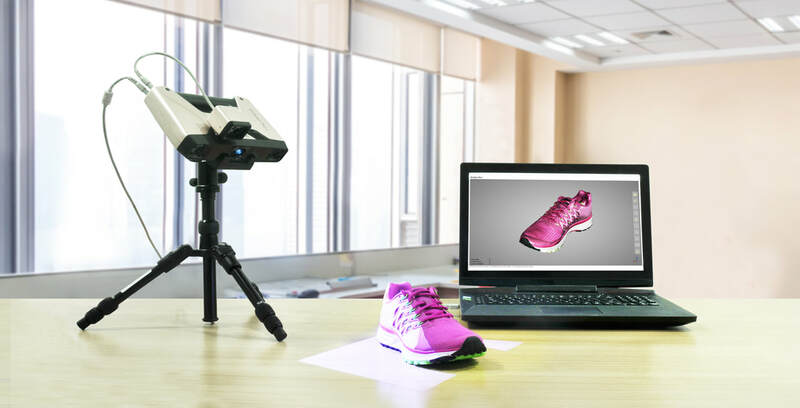 What’s more, the Fixed Scan Mode is suitable for highly detailed objects that are light weight and easy to move around during the scan process. 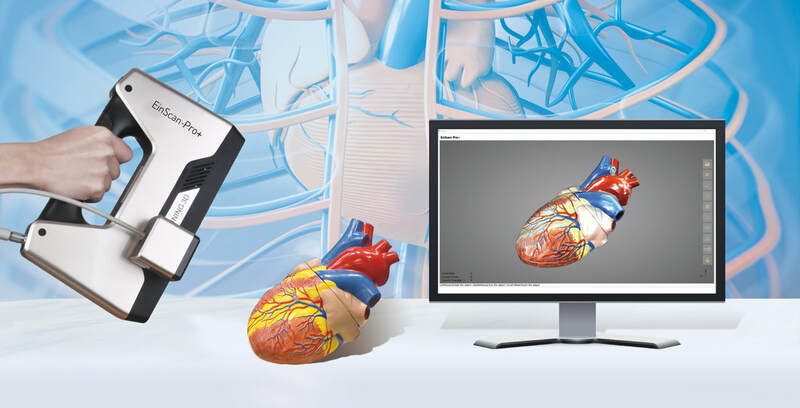 If the object has enough feature, the EinScan-Pro will automatically align multiple scan meshes to form a perfect 3D model. Experienced users gain their best results by manually controlling the number of scans. By attaching an external texture camera, EinScan-Pro can capture geometry with full-color texture. This can be useful for computer graphics, animation, game development, digital archiving, prototyping and color 3D printing. Handheld HD Scan Mode doesn’t support color scan. An optional Industrial Pack enables automatic scan and fixed scan by matching the EinScan-Pro series with a fully-automatic turntable and tripod. It accelerates the scan speed in Handheld HD Scan Mode and captures more details of the scanned objects. It’s ideal for cultural heritage preservation, archiving, restoration, etc.